It turns out the UK's biggest charity has a 1% stake in Twitter, plus a big holding in Facebook. The Wellcome Trust is one of the UK’s most interesting charities (and, incidentally, its largest). The Trust, which bankrolls scientific and medical research, nearly bought the Athletes’ Village at the Olympics site (before being gazumped by the Qatari sovereign wealth fund), and owns a £255m slice of Marks & Spencer, a £216m stake in Vodafone and an undisclosed amount of Wonga, among its £14.5bn of investments. 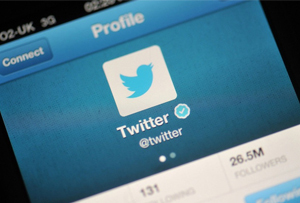 Now it turns out the charity owns ‘more than 1%’ of Twitter, plus a $185m slice of Facebook. Wellcome admitted it in its annual report this morning: ‘accounting rules… required us to recognise the post-year end IPO of Twitter, where our stake… was marked up by more than $100m.’ Looking at the company’s current share price of $56, that puts Wellcome’s stake at about $313m. Peter Pereira Gray, the managing director of Wellcome’s investment division, told MT this morning that the charity had invested in Twitter about two years ago. The annual report showed Wellcome produced a total investment return of 18.4% in the year to the end of September, financing £656m of spending and donations, so its strategy clearly works. Its average return since October 1985 has been 10.9% - way above that of most of its rivals. Wellcome wasn’t the only one casting its benevolent eye over tech companies today. Facebook, which is rapidly becoming one of Silicon Valley’s most prolific investors, has just bought a start-up called SportStream, which – you guessed it – analyses mentions of sport on social media. The acquisition comes a few weeks after Apple bought not-dissimilar firm Topsy Labs, which uses data from Twitter to track sentiment on various brands. In the grand tradition of Silicon Valley giants, Facebook explained what it wants to do with SportStream without actually explaining anything at all. In a blog post, Justin Osofsky, the company’s snappily-titled vice president of media partnerships and global operations, said it plans to ‘meaningfully improve the ability for all our partners to access and utilize the insights from Facebook’s tools.’ So there you go. Clear as day. Facebook has, to be fair, been looking at Twitter-style ‘search by subject’, introducing hashtags and trending topics to make it easier to find out about something you’re interested in. Semantic search (search which puts the query into context to generate the most relevant results) what may have been the buzzword du jour in about 2008, but actually social media is paying closer and closer attention to it. Google may be the king of search at the moment, but expect the fight for its crown to be the big battle of 2014.